Texas Governor Greg Abbott signed a bill into law on Friday, June 12, that will allow Texas to build a gold and silver bullion depository. In addition, Texas will repatriate $1 billion worth of bullion from New York to the new facility once completed. On the surface the bill looks rather innocent, but its implications are far reaching. HB 483, “relating to the establishment and administration of a state bullion depository” to store gold and silver coins, was introduced by state Rep. Giovanni Capriglione. But isn’t New York, where most of the world’s gold is stored, also big and powerful? Why does the state of Texas want to go through the trouble of building its own storage facility? There are precisely two important reasons. One involves distrust in the current storage system. The second threatens the paper money system as a whole. “In a lot of cases with gold you may not have clear title to the metal. You may have a counterparty relationship that makes you a creditor. If the counterparty has a problem unrelated to gold, they can default and then you become an unsecured creditor in bankruptcy,” said Keith Weiner, president of the Gold Standard Institute. This means you get whatever is left after liquidation, often just a fraction of the initial value of your holdings. “This exact scenario happened with futures broker MF Global. I knew people who had warehouse receipts to gold bars with a specific serial number. But that gold had an encumbered title and they became unsecured creditors in bankruptcy,” said Weiner. In Texas, two big public pension funds from the University of Texas (UoT) and the Teacher Retirement System (TRS) own gold worth more than $1 billion. Being uncomfortable with holding purely financial gold in the form of futures and Exchange-traded Funds, University of Texas actually took delivery of the gold bars in 2011 and warehoused it with HSBC Bank in New York. You are on the board, you are a fiduciary, so that’s an easy one, you go get it. Bass is implying that there is much more financial gold out there than physical, and that it is prudent to actually hold the physical. So far most of the attention has focused on the part of the depository and the big institutions. However, the bill also includes a provision to prevent seizure, which is important for private parties who want to avoid another 1933 style confiscation of their bullion by Federal authorities. Section A2116.023 of the bill states: “A purported confiscation, requisition, seizure, or other attempt to control the ownership … is void ab initio and of no force or effect.” Effectively, the state of Texas will protect any gold stored in the depository from the federal government. The Constitution of the United States obliges the States to not make anything tender in payment of debts apart from gold and silver coin. And free from the threat of confiscation, private citizens can use gold and silver as money, completely bypassing the paper money system. “People can legally do that with gold contracts. The difficulty is the implementation. Now Texas has set up a mechanism with the depository. We have accounts in that institution and can easily transfer back and forth certain amounts. So we can run our money system a gold or silver basis if we were so inclined,” said Vieira. This would not be possible if the gold is stored in a bank because of the risks of bank holidays and bankruptcies. It would also not be possible if the federal government could confiscate gold. 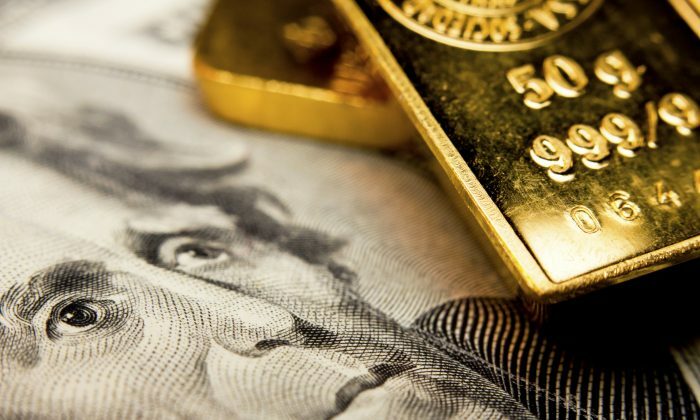 According to Vieira, this anti-seizure provision rests on Article 1, section 10 of the Constitution of the United States, which obliges the States to not make anything tender in payment of debts apart from gold and silver coin. “If someone from the Department of Justice comes along you are going to see legal and political fireworks. The state is going to say ‘we need to have a mechanism to make gold and silver money. This is pursuant to the constitutional provision we have. You can’t touch this. Our state power on the constitutional level is more powerful than any statute you may pass,'” said Vieira. Because one of the litigant parties is a state, the case would go directly to the Supreme Court. The system works great if you trust the people storing the gold. If you don't, better bring it home sooner, rather than later.